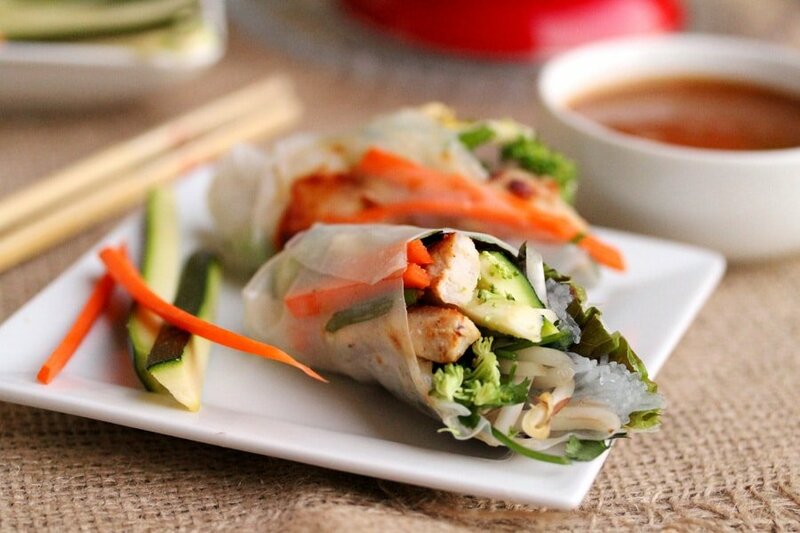 Fresh spring rolls are so pretty and amazingly delicious. 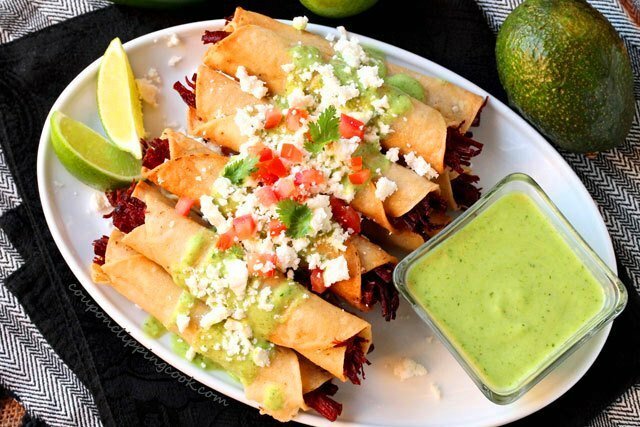 They can be served as a main dish or appetizer. If serving them as an appetizer they look especially pretty when cut on a diagonal so that all of the colorful ingredients can be seen. 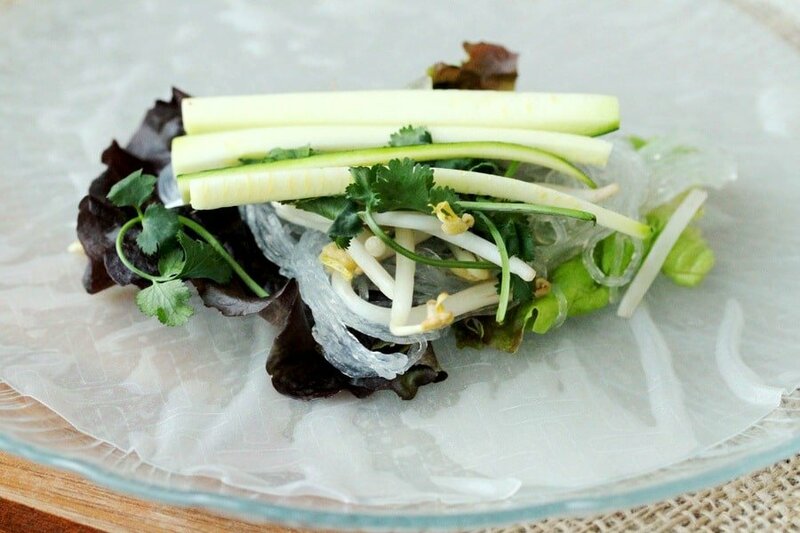 Fresh spring rolls can be made ahead of time and can be served whole or cut in half. 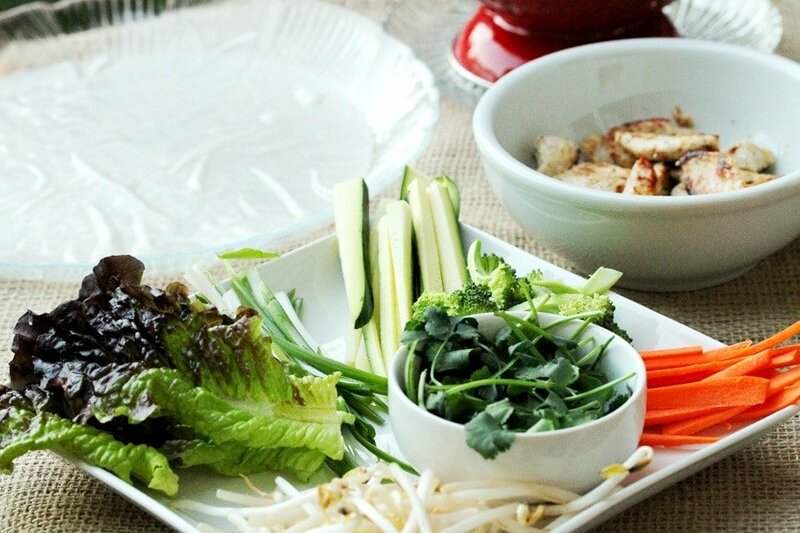 Here’s another recipe for fresh spring rolls you may like “Fresh Spring Rolls with Shrimp“. 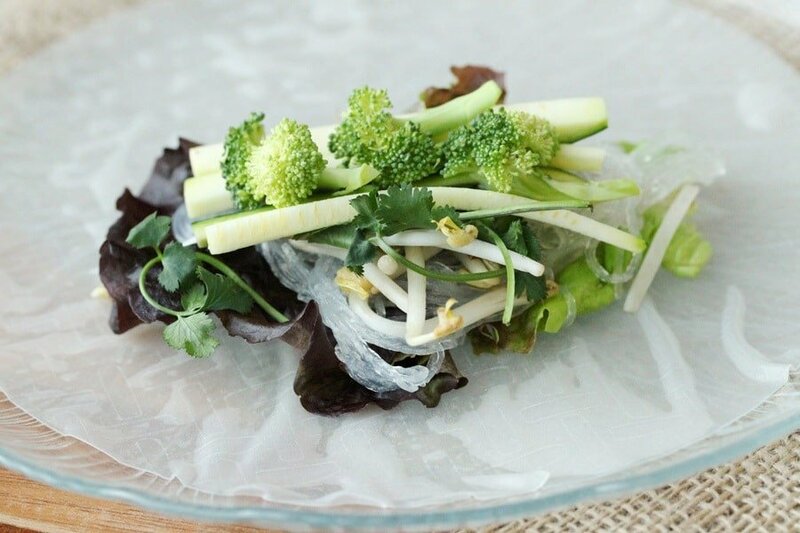 In this recipe, the spring rolls are filled with chicken and fresh raw vegetables; broccoli, zucchini, bean sprouts, green onion, carrots and bronze leaf lettuce. Cilantro is also added to the mix for a fresh pop of flavor. 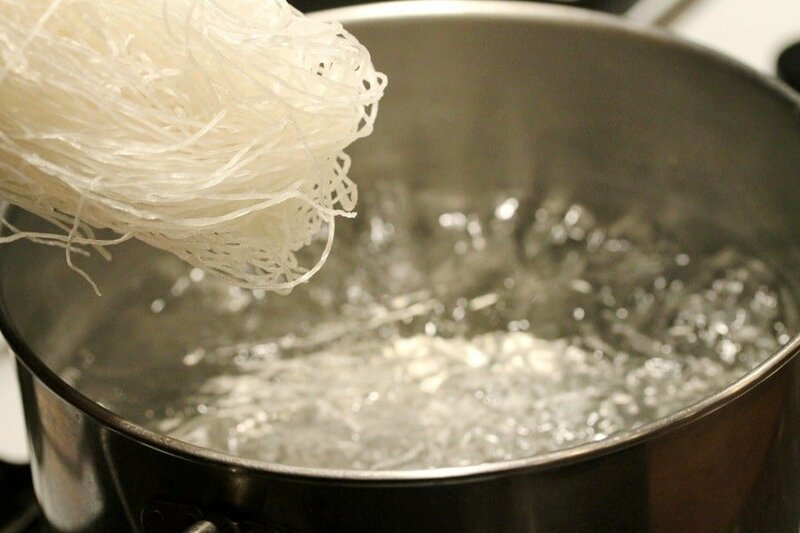 And for texture, cooked bean thread noodles are also added. Each bite has a wonderful combination of flavors and textures and when dipped in peanut sauce, it tastes heavenly. 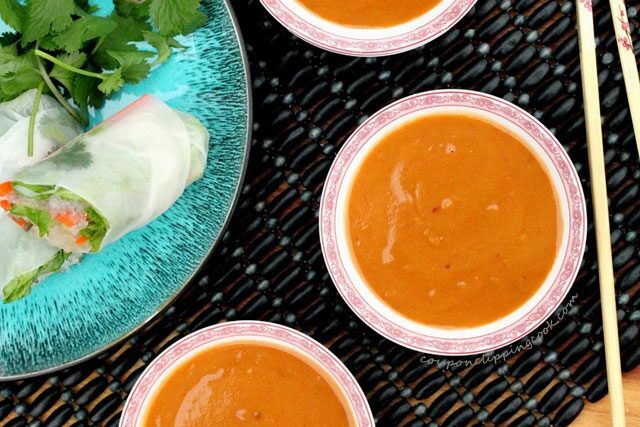 Here’s are quick and easy homemade peanut sauce that tastes really good with these spring rolls “Easy Peanut Sauce“. 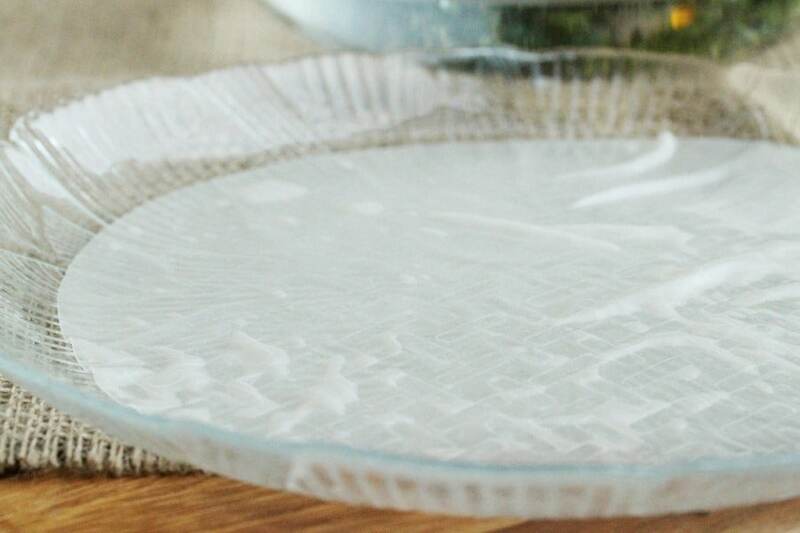 These are easier to make than you may think too. 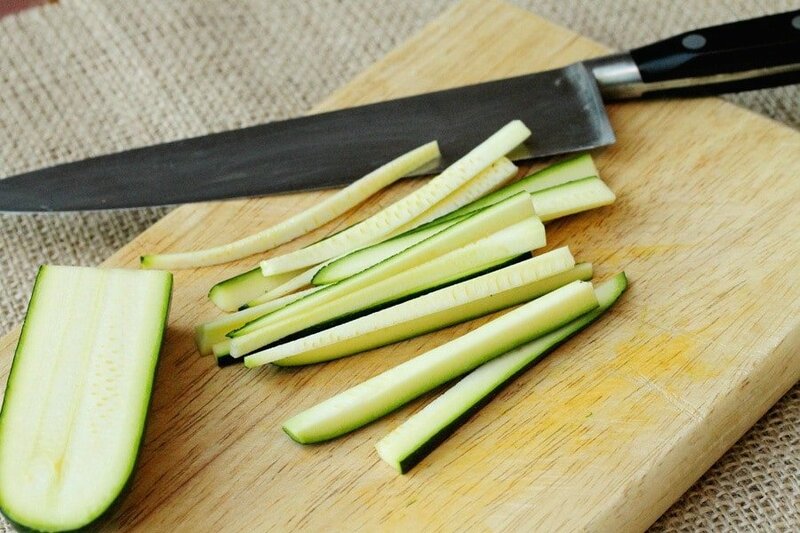 Thinly slice the zucchini into 4 inch strips. 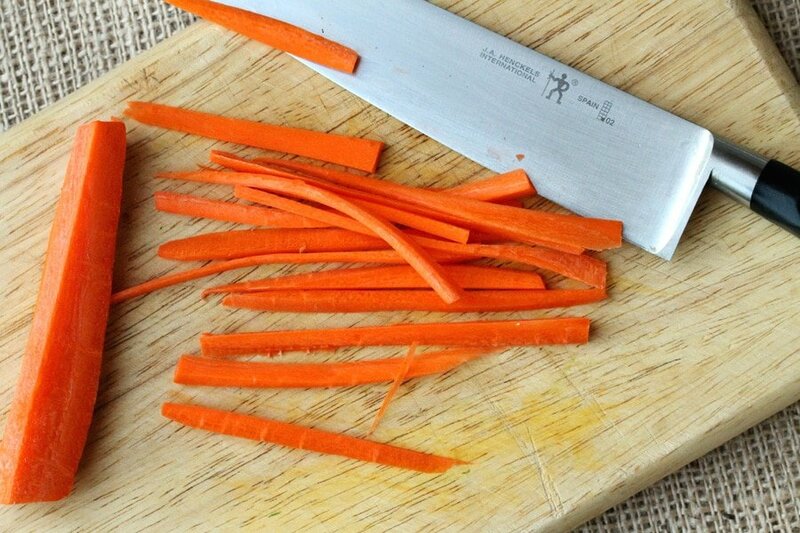 Next, thinly slice the carrots into 4 inch strips. 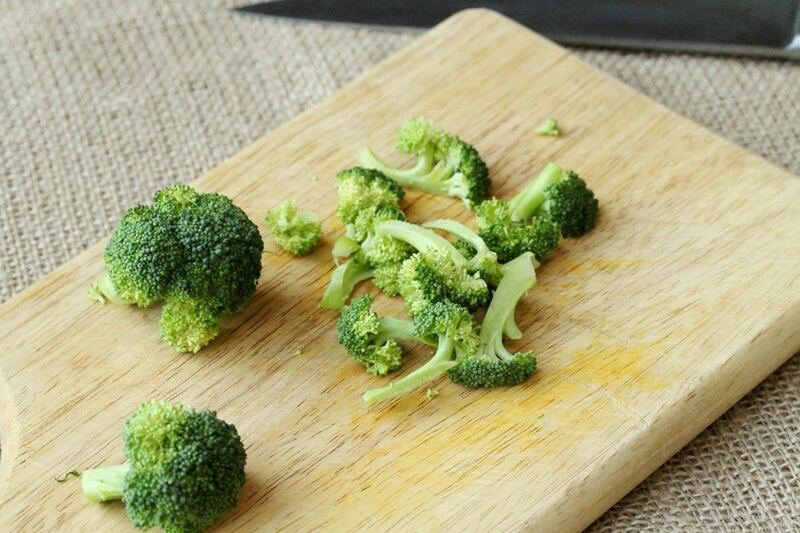 Then cut off small pieces of the broccoli florets. 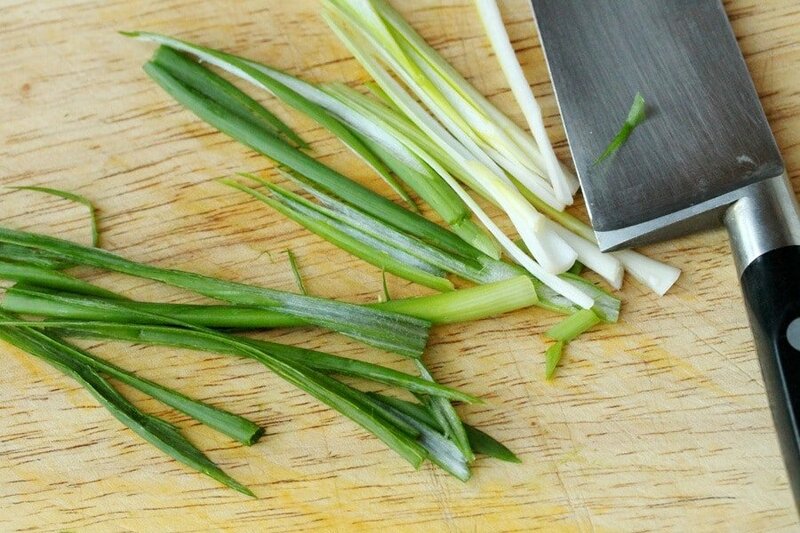 Thinly slice the green onion lengthwise into about 4 inch strips. Set the vegetables aside. 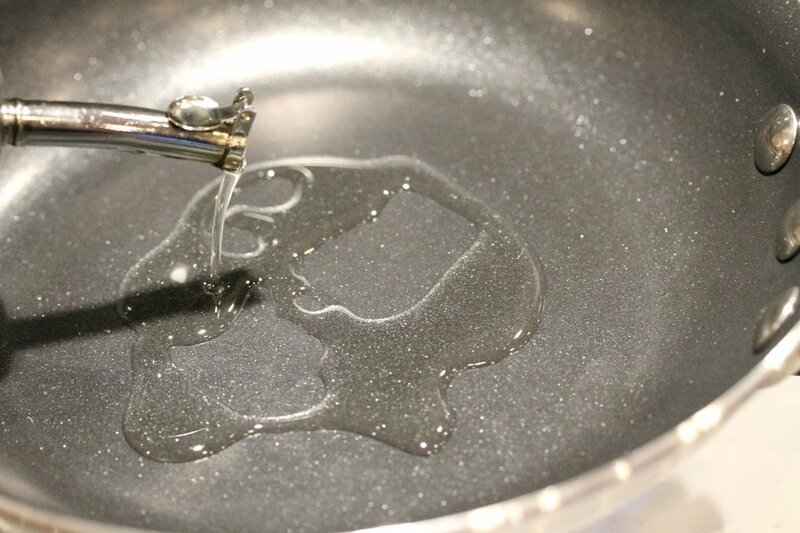 In a medium size sauce pan, boil water. 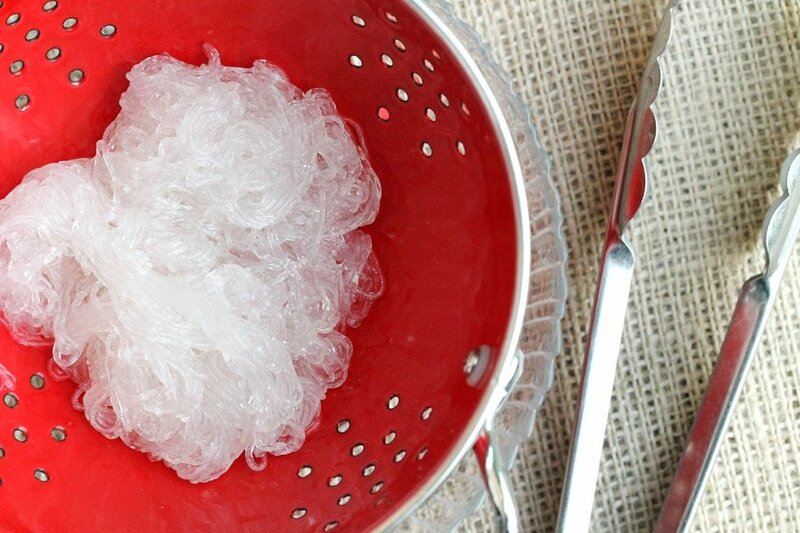 Add the bean thread noodles. …stir them up a bit. 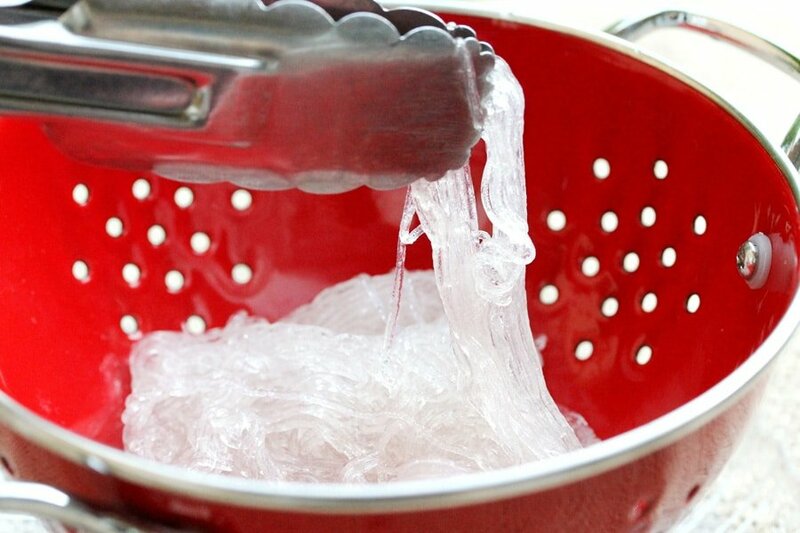 Cook until the noodles are soft, slippery, and translucent (about 5 minutes). 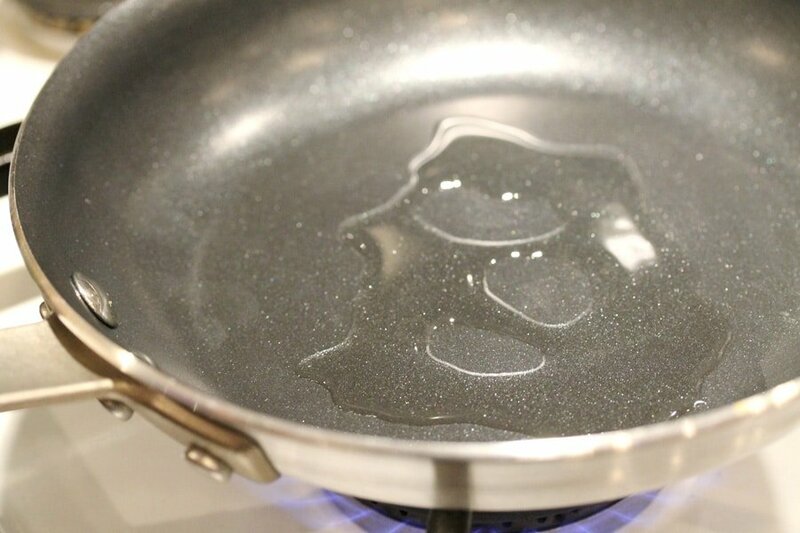 Heat a small skillet on medium heat and add olive oil. To the pan, add granulated garlic, onion powder and pepper. 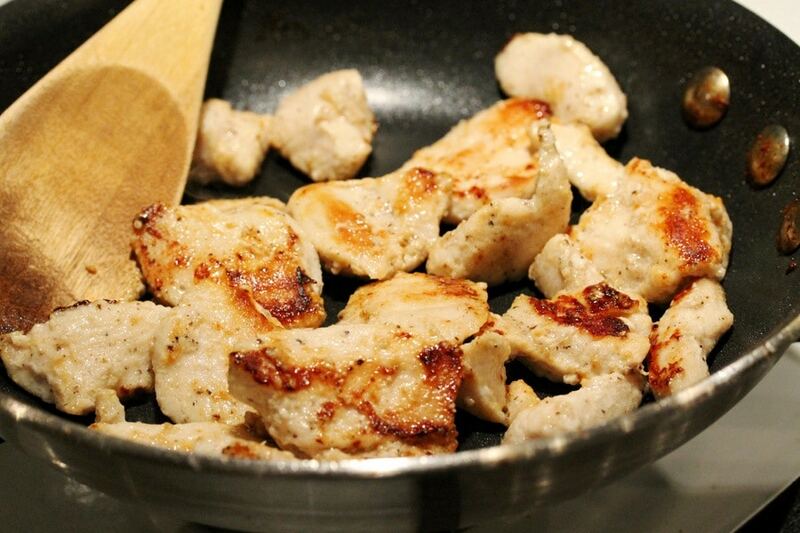 Stir the chicken as it cooks. 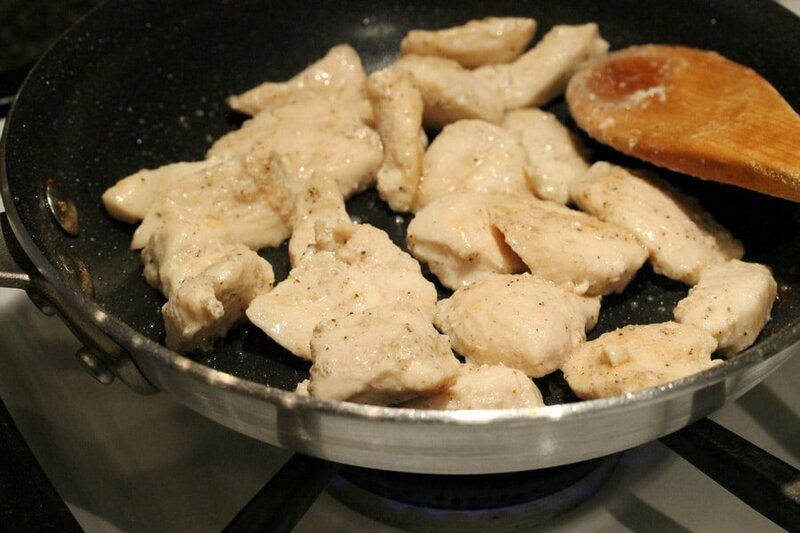 Cook until the chicken is completely cooked through and slightly browned (about 10 minutes or more depending on the size of the pieces). Set aside for a moment. 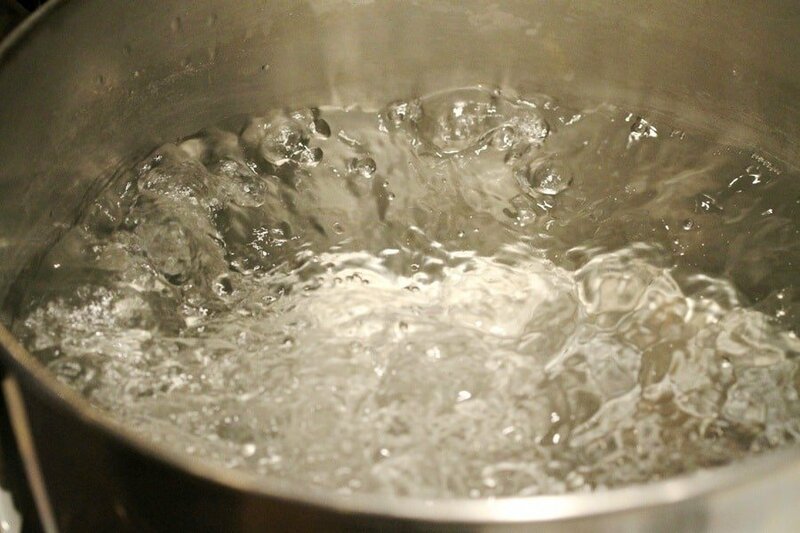 For the Wrappers – Fill a large shallow bowl with hot water (hot tap water should be fine). 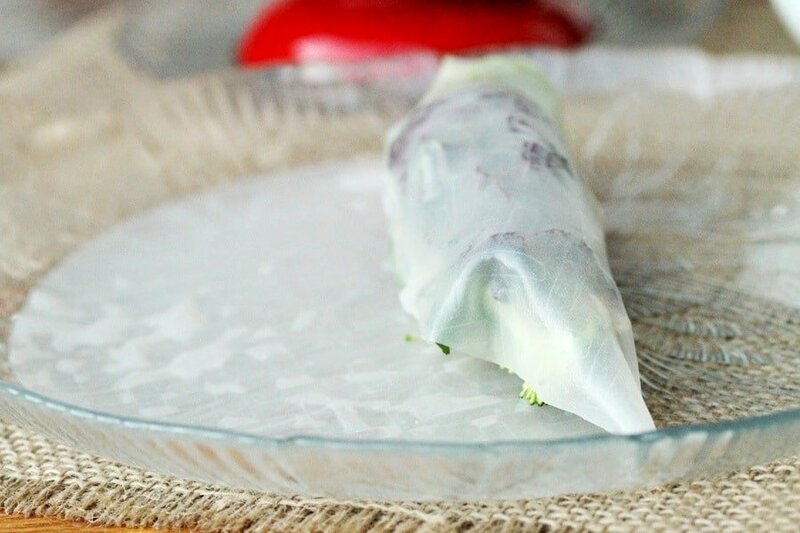 Put the edges of the spring roll wrapper in the hot water. 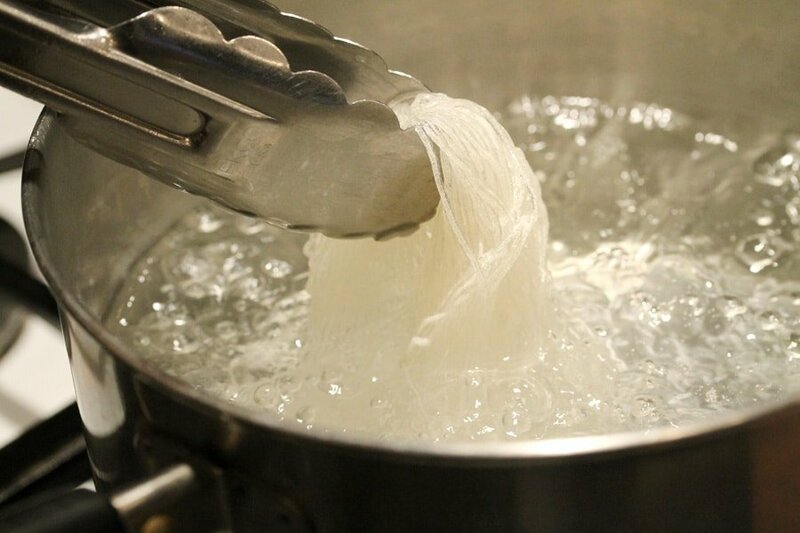 Then, put the entire spring roll wrapper in the hot water until it starts to get soft (about 20 seconds). 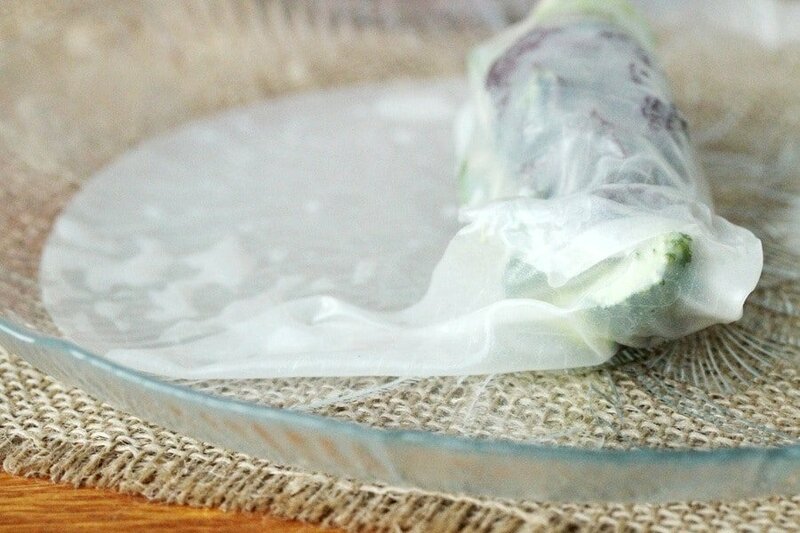 Lay the spring roll wrapper on a large plate. 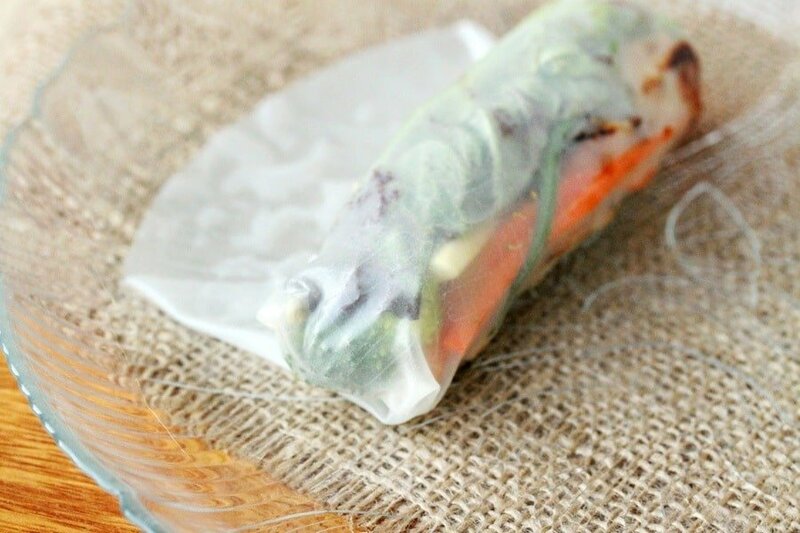 Filling the Wrappers – Set out all of the ingredients by the spring roll wrapper. 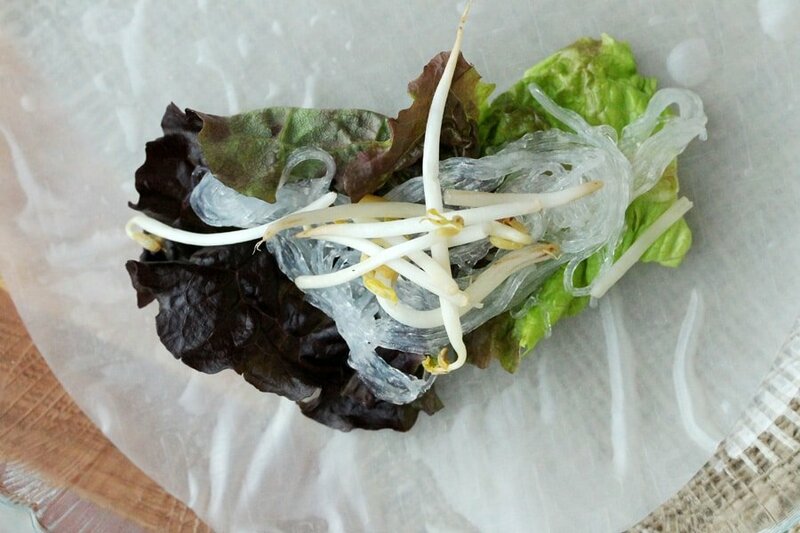 Lay a piece of the lettuce on the spring roll wrapper just under the middle of the wrapper. 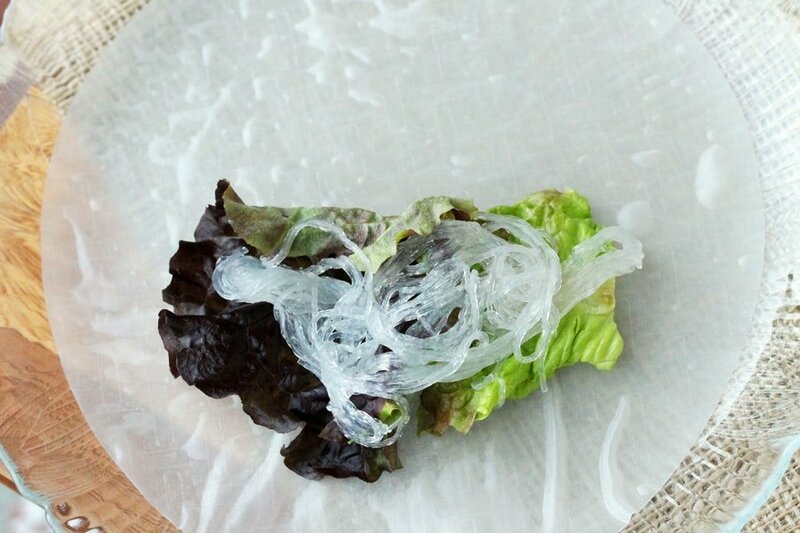 …lay some of the bean thread noodles over the lettuce. 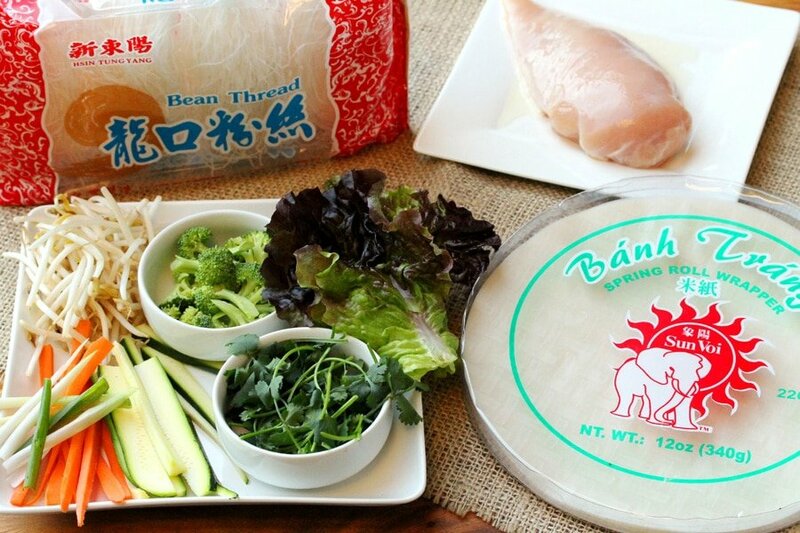 Then, add some of the bean sprouts. 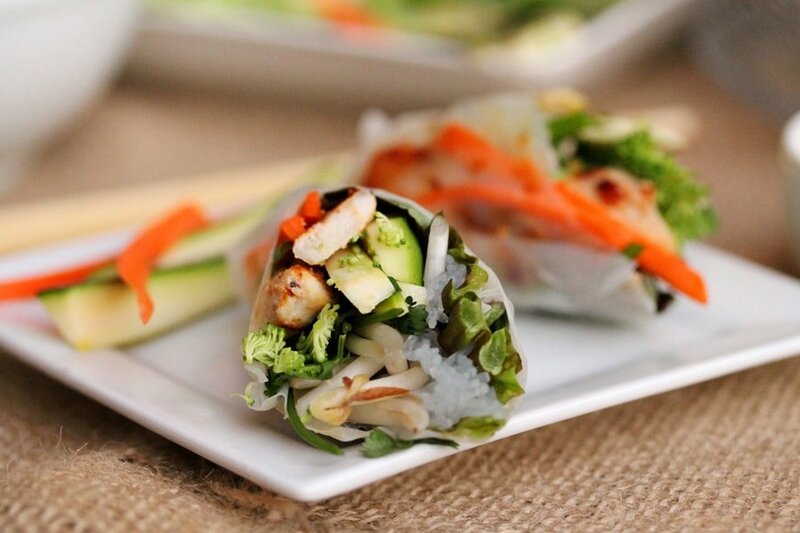 Rolling the Wrappers – Roll the wrapper over the veggies once. …then fold over the other side about 1 inch. Next, add a couple pieces of the carrots and chicken (browned side down). The bottom of the wrapper will be a “window” that will show off the pretty colors. Gently roll the wrapper tightly over the chicken and carrots. 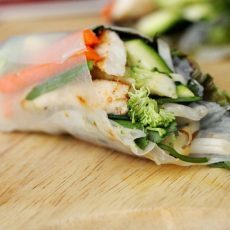 Serve with a dipping sauce such as peanut sauce, soy sauce or teriyaki sauce and enjoy each and every bite. 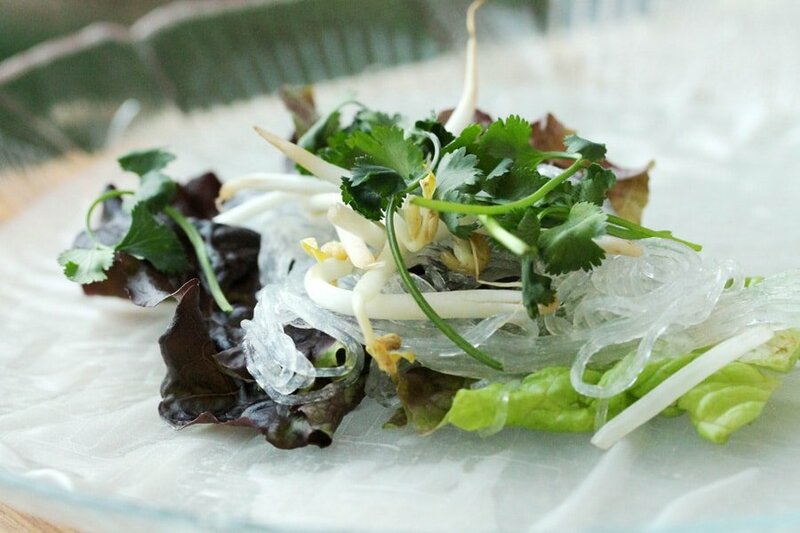 A light and flavorful appetizer or main dish. 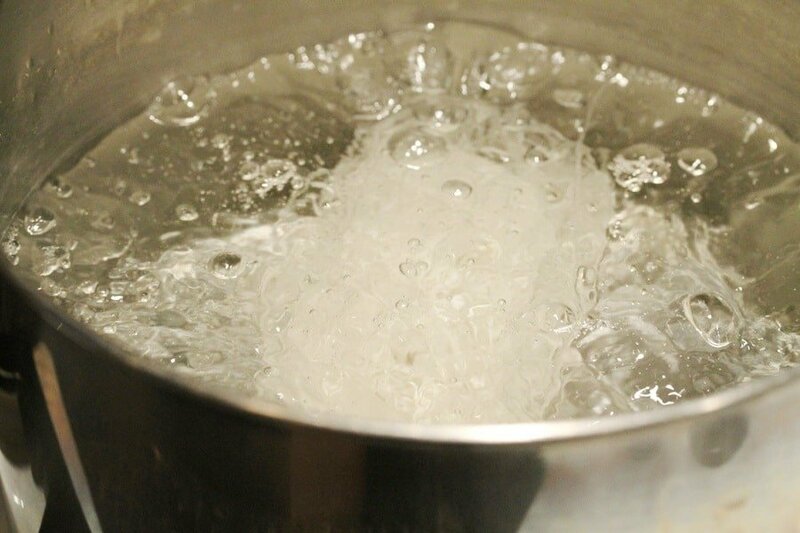 In a medium size sauce pan, boil water and add the bean thread noodles. 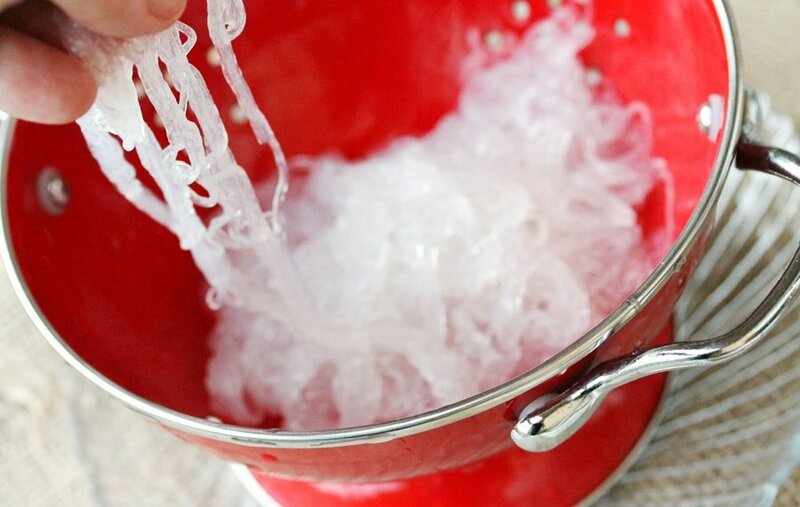 Stir them up a bit and cook for about 5 minutes or until the noodles are soft, slippery, and translucent. 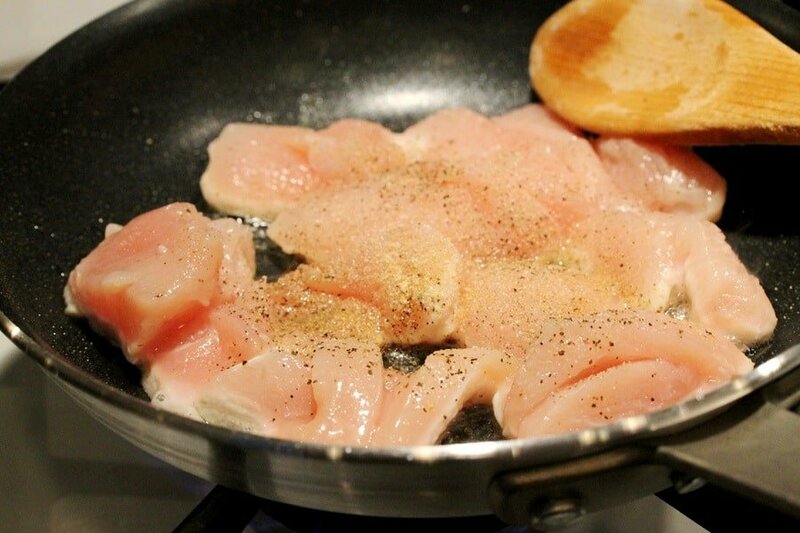 To the pan add the cut pieces of chicken, granulated garlic, onion powder and pepper. Stir together. 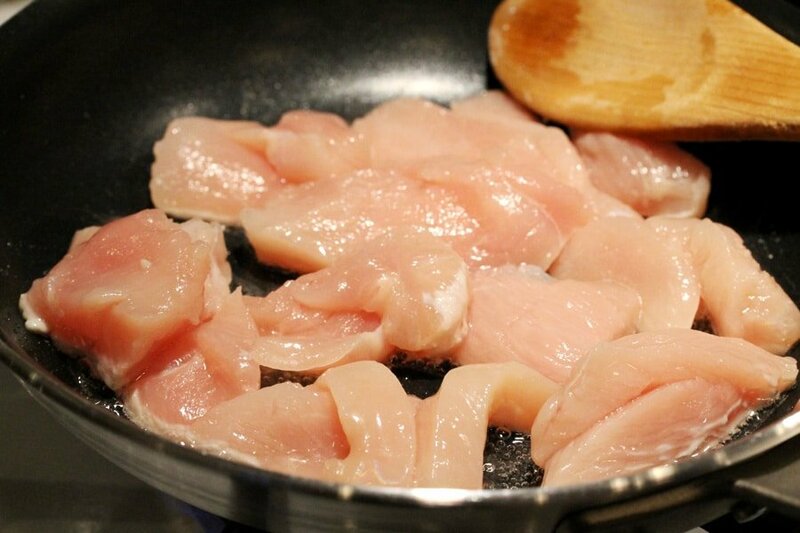 Continue to cook the chicken while stirring so the chicken cooks evenly. 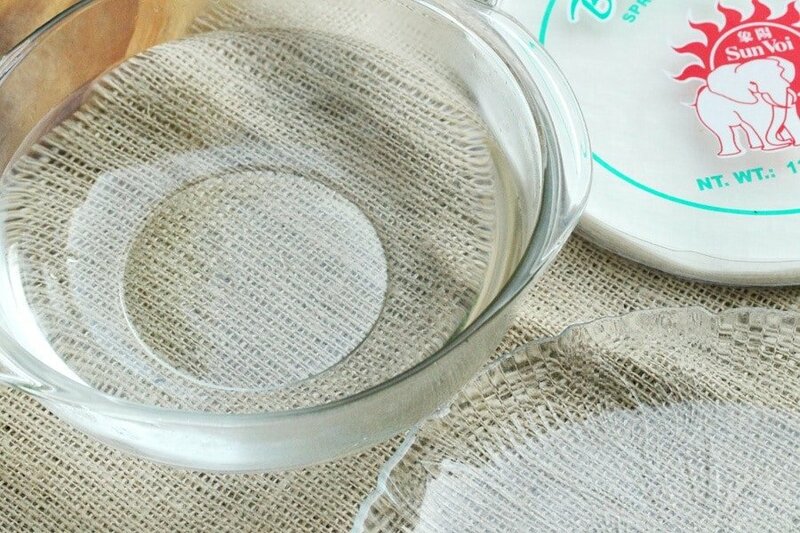 For the Wrappers - Fill a large shallow bowl with hot water (hot tap water should be fine). 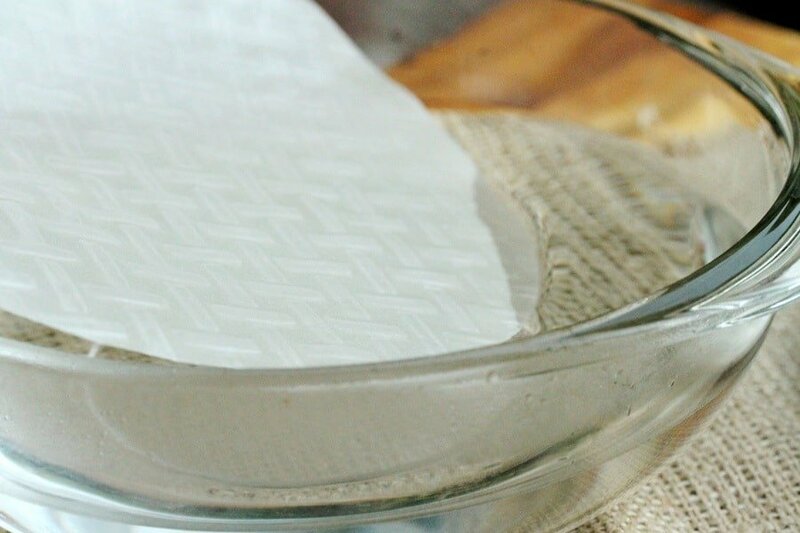 Put the edges of a spring roll wrapper in the hot water. 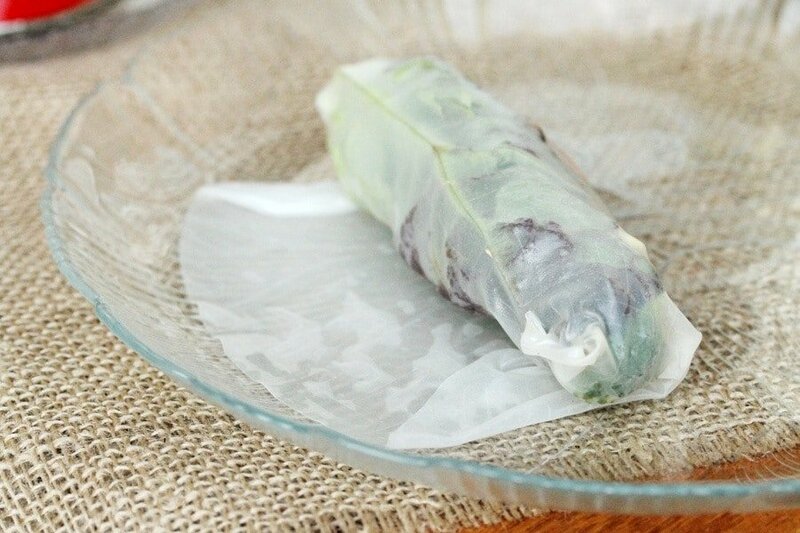 Then, put the entire spring roll wrapper in the hot water until it starts to get soft (about 20 seconds). 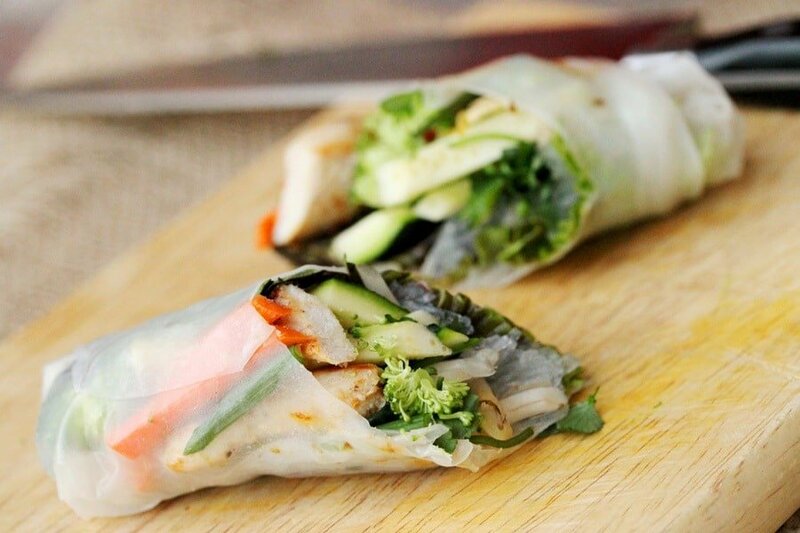 Filling the Wrappers - Set out all of the ingredients by the spring roll wrapper. 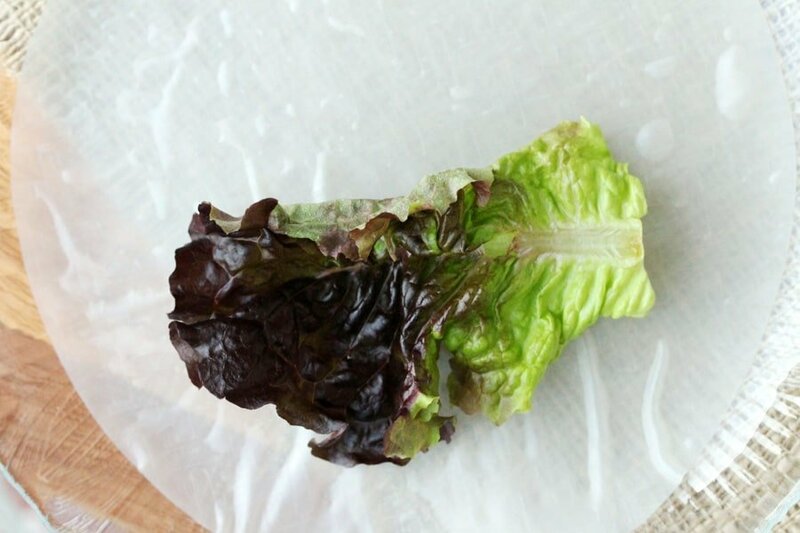 Lay a piece of lettuce on the spring roll wrapper just under the middle of the wrapper. 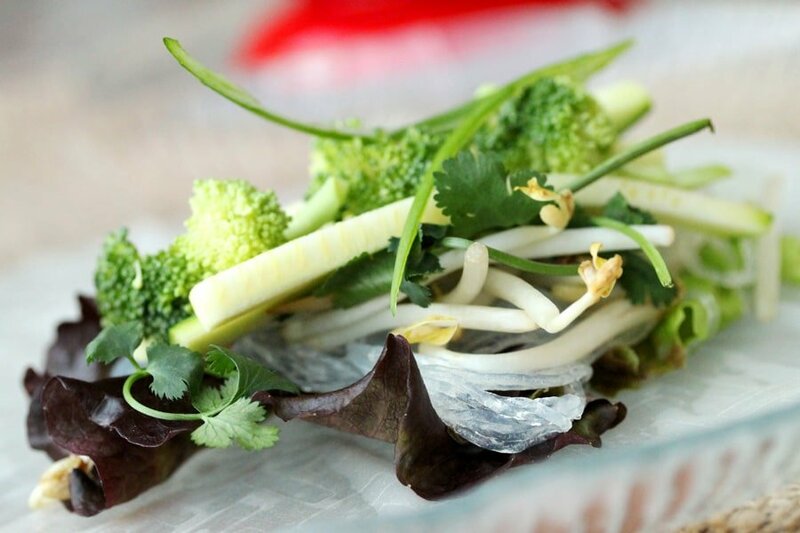 Then top the lettuce with small portions of the bean thread noodles, bean sprouts, cilantro, zucchini, broccoli, and green onion. Rolling the Wrappers - Roll the wrapper once, just over the veggies. Then fold over one side of the wrapper in about 1 inch. Then fold over the other side of the wrapper in about 1 inch. Next, add a couple pieces of the carrots and chicken (browned side down). The bottom of the wrapper will be a “window” that will show off the pretty colors. 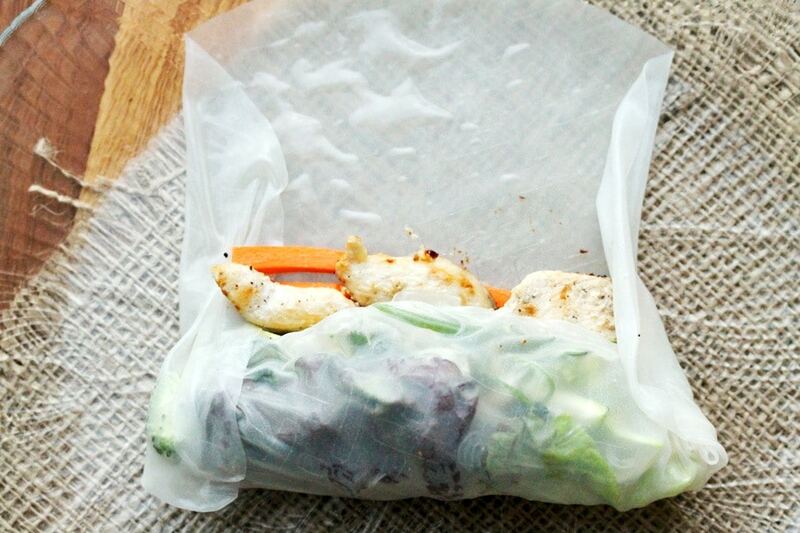 Gently roll the wrapper tightly over the chicken and carrots. 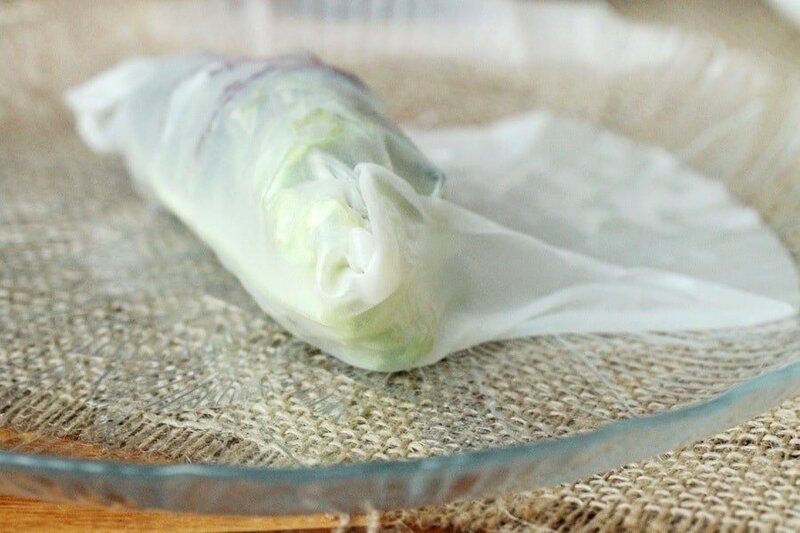 Continue rolling the wrapper to form the spring roll. 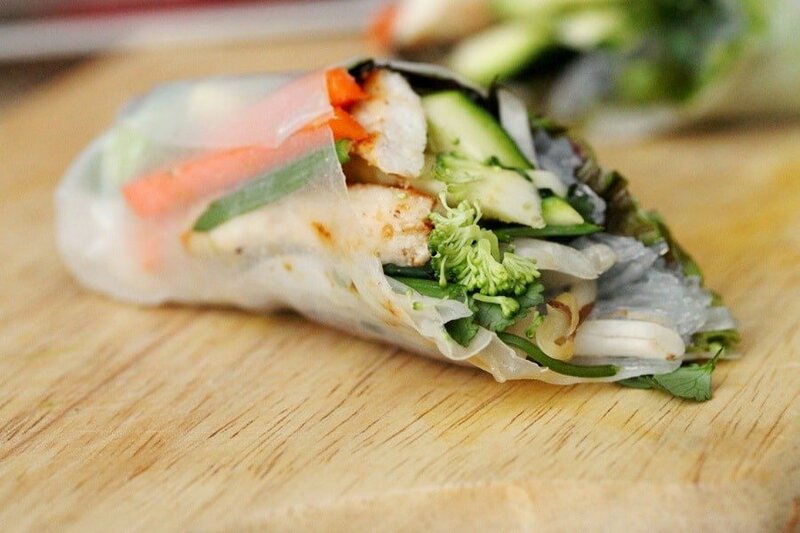 Repeat this process for the remaining spring rolls. 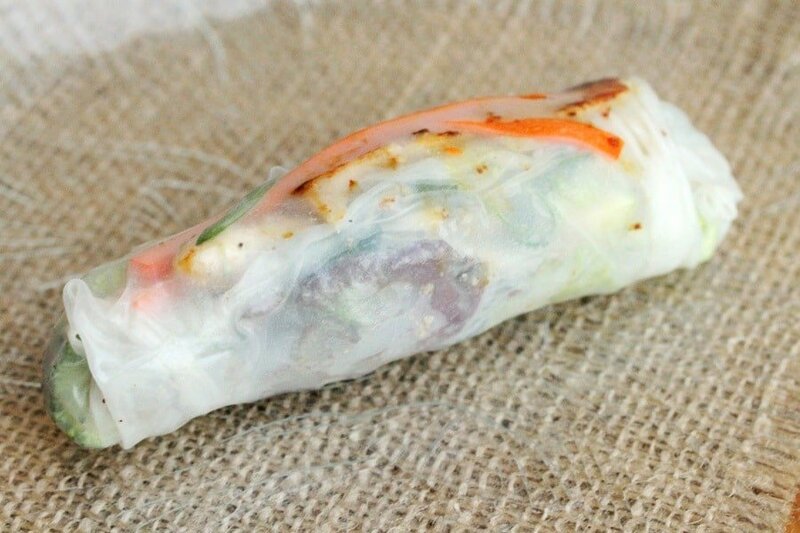 The spring roll can be served whole or cut in half diagonally. 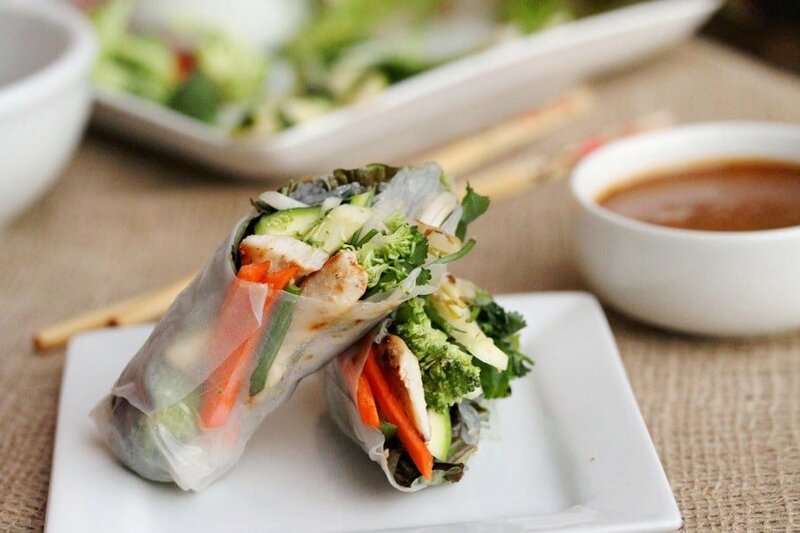 Serve with dipping sauce such as peanut sauce, soy sauce or teriyaki sauce. Hi Liz, so nice to meet you and find your blog too! Thank you for stopping by! Love it! What a fun surprise….Thank you so much! 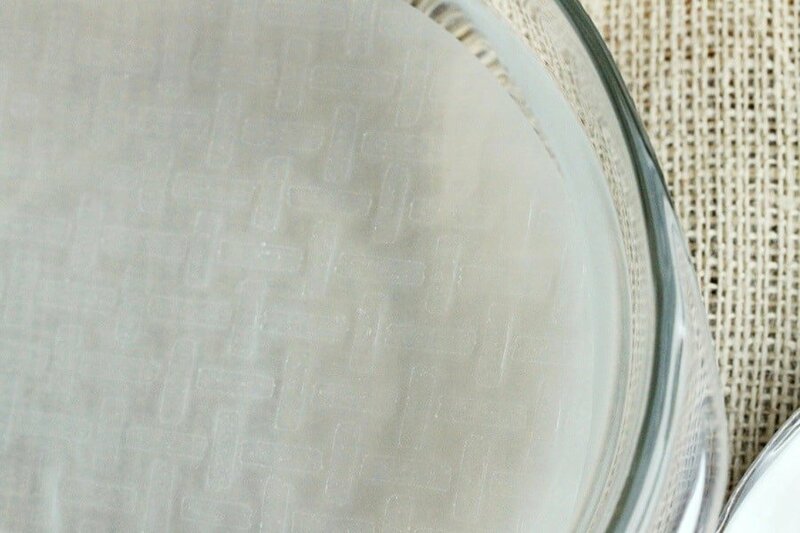 Congrats on the guest posting-popping over to Ann’s site now!